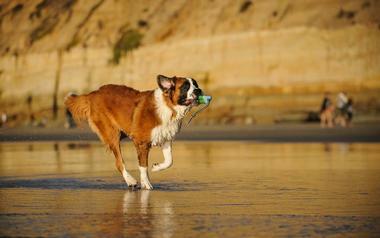 San Diego is proud to ensure that its dog population enjoys its wonderful beaches and surf in true California fashion. 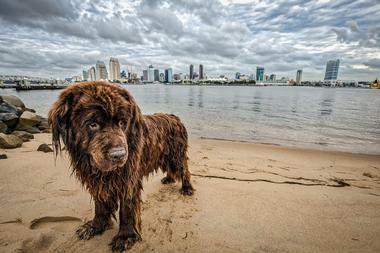 In fact, the entirety of Fiesta Island is devoted to pure dog fun year round – humans are allowed to come along, too. The north end of Ocean Beach is also free for dogs to run and splash in the water, as is the western end of white sandy Coronado Beach. Del Mar Beach is available to pooches after Labor Day until mid-March. On all dog-friendly beaches, the owners are required to clean up after their friends and to ensure that they behave well and do not behave aggressively towards other dogs and humans. A valid dog license and all required vaccinations are a must. The north end of the mile-long Ocean Beach is the original and oldest dog beach in San Diego, famous for being one of the first American beaches where dogs were allowed without a leash. It is located at the mouth of the San Diego River at the end of I-8. It is a city landmark and a place where people and dogs can enjoy the fine sand, waves, and beautiful views together regardless of breed, size, color, or shape. The town and its council are honoring the legacy of having a beach where dogs can be free any time of the day, together with surfers and other beach goers. To preserve this peaceful coexistence, it is vital that dog owners clean up after their pets, that they have a valid license for their dogs, and that their dogs have all the required vaccinations. 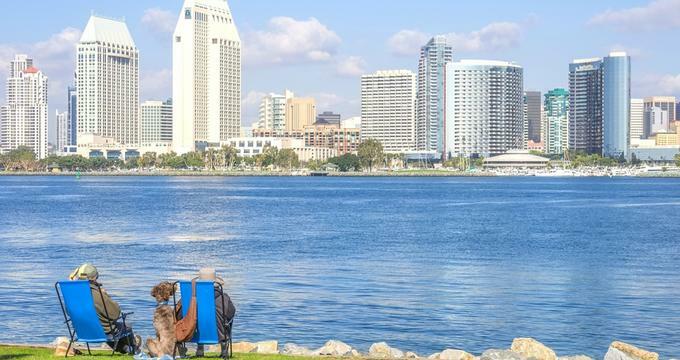 The western end of Coronado Beach is a popular San Diego leash-free white sand dog beach. It is located along Ocean Boulevard, between Sunset Park and the Naval Base Coronado. The beautiful beach has tidepools, great surfing, fire rings, and fantastic views in all directions. There is the legendary Hotel del Coronado on one side and the magnificent skyline of Point Loma to the north. 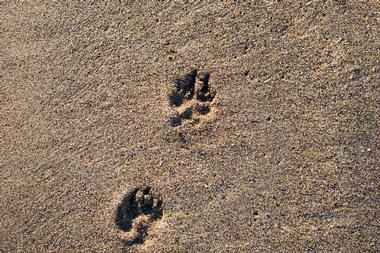 Dogs are allowed on the beach without a leash but have to be leashed until they reach the sand. The beach is open 24 hours. Dogs should have fun without being aggressive to other dogs and people, and their owners should make sure to clean up after them. A valid license and all necessary vaccinations are obligatory. 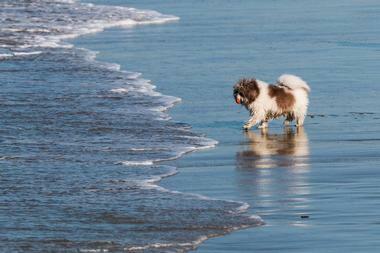 North Beach is Del Mar’s popular dog beach, located north of 29th Street. It is almost half a mile long and stretches all the way to its border with Solana Beach. It includes a nice stretch of coastal bluff and the mouth of the San Dieguito River. During the summer, from mid-March to Labor Day, half of Del Mar Beach is off-limits to dogs, but they are allowed on the North Beach on a 6-foot leash. Del Mar has been considered a dog-friendly city since 1959, when it was incorporated, and it offers access to dogs not only on North Beach but also in the city’s two parks – Powerhouse Park and Seagrove Park.